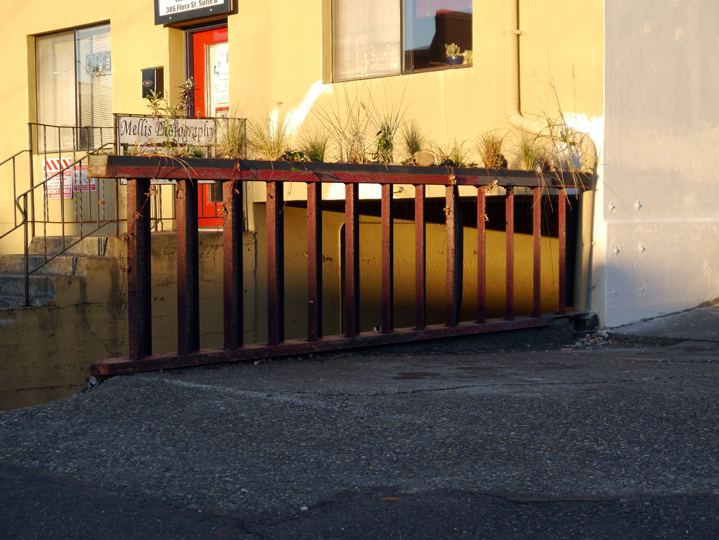 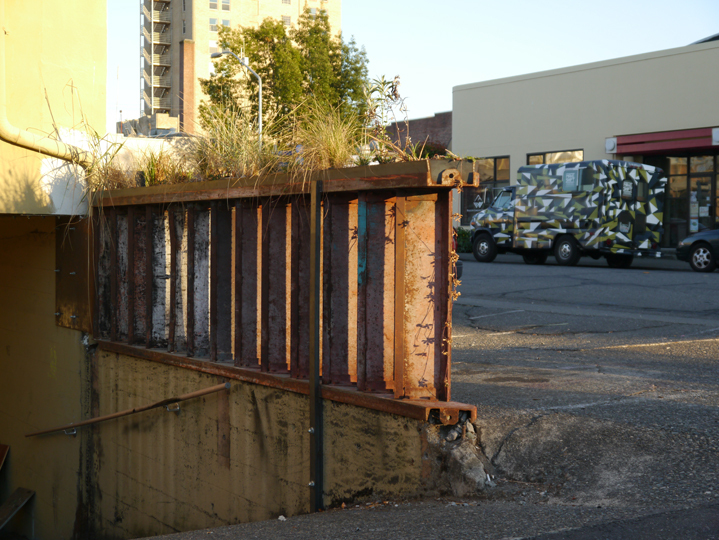 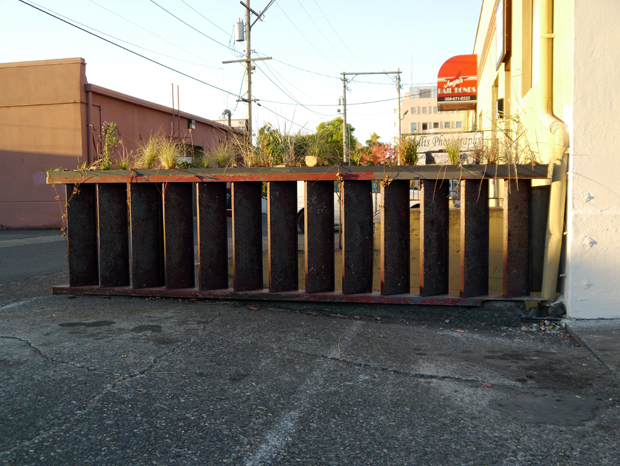 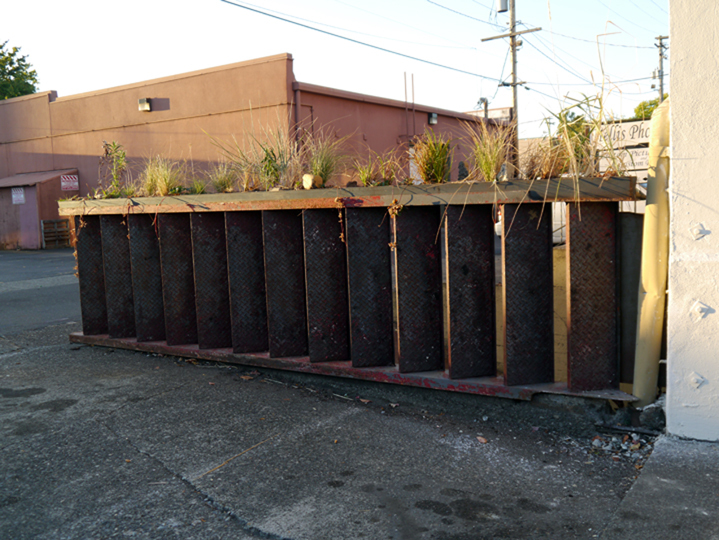 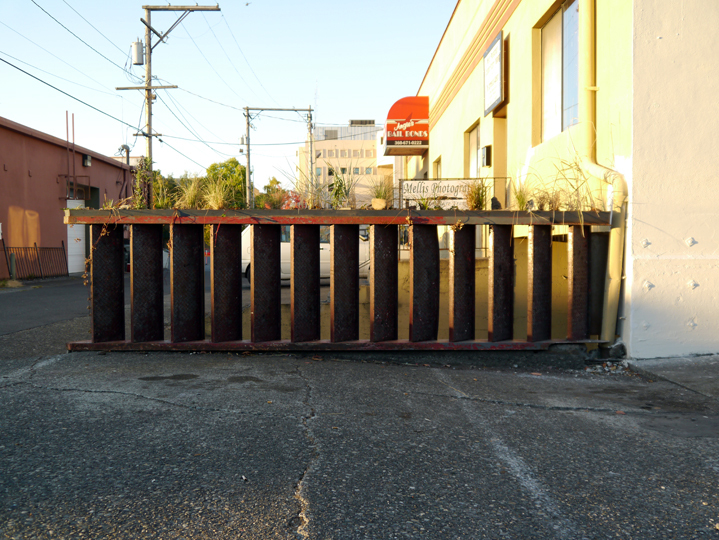 This railing was created for Make.Shift Art Space in Bellingham.Â Make.Shift is an inspiring center for music and visual art, including an art gallery, live music venue and 16 individual art and music studios. 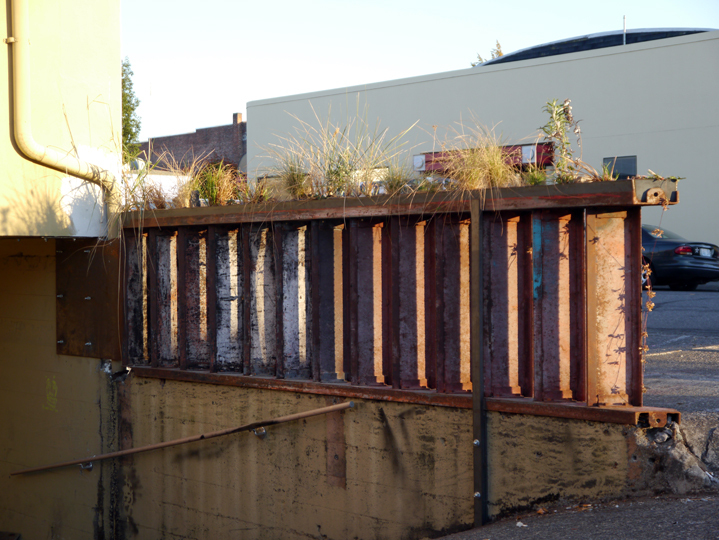 With a focus on reclaimed materials, this railing was suitably made from an old massive stairway once used in the building. 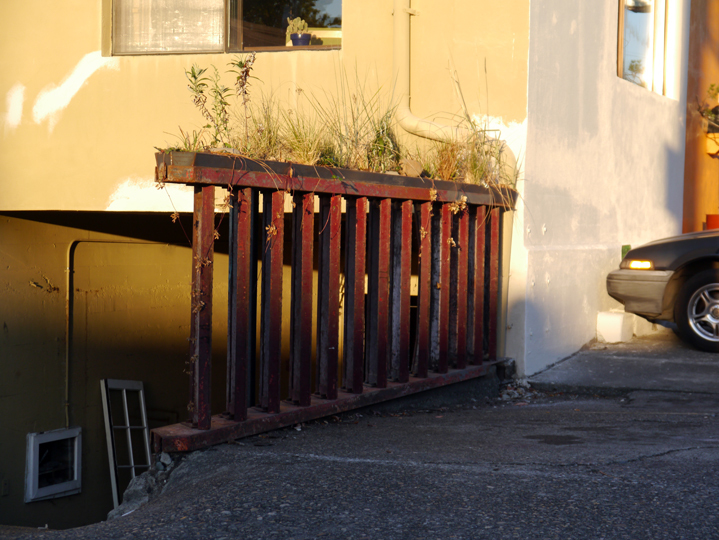 Tipped sideways, fixed to the building and adorned with a planter, the stairs now have a new life.